In what may be one of the thousand Twitter-related stories you’ll read today, I’ve decided to give you one more (leave me alone, it’s timely). Adam Wilson, a doctoral student in biomedical engineering, has developed a way to post messages on Twitter using electrical impulses generated by thought. No fingers, no keyboards – just ‘thought’. This is possible through a fitted hat with electrodes that monitor brain activity, hooked up to a computer flashing letters on a screen. 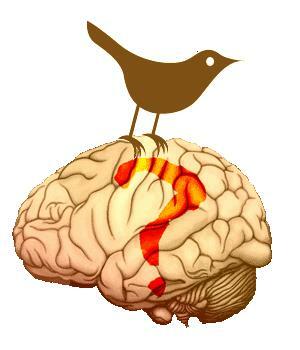 And ‘voila’ – your brain is now posting tweets online. Why? The lab believes that this new development could be a lifeline for people with “locked-in syndrome”. People whose brains function normally but who cannot speak or move because of injury or disease.